Product prices and availability are accurate as of 2019-04-23 07:44:38 UTC and are subject to change. Any price and availability information displayed on http://www.amazon.com/ at the time of purchase will apply to the purchase of this product. The ASICS Men's GEL-Nimbus 14 Running Shoe features GEL cushioning for comfort while providing stability in the midsole and improving your natural stride with the vertical Guidance Line. 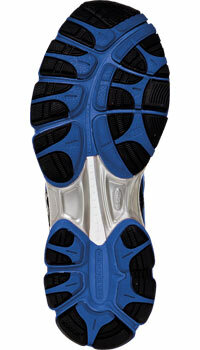 The sleek shoe offers a personalized fit with two layers of memory foam in the collar and independently placed eyelets. The breathable mesh upper helps your feet stay cool and comfortable during long runs. The ASICS Men's GEL-Nimbus 14 Running Shoe is lighter and sleeker than its predecessor, but it maintains the GEL cushioning system in the front and rear for comfort. The stabilizing Guidance Trusstic System creates a pocket next to the midsole for more efficient foot function while maintaining the structural integrity of the shoe. Made with lightweight Solyte material, the midsole offers added cushion and durability as you run or jog. Whether you're a weekend warrior or a seasoned road veteran, the GEL-Nimbus 14 Running Shoe's Impact Guidance System (I.G.S.) can enhance your natural gait and help improve performance. This 11.1-ounce shoe also features the vertical flex groove Guidance Line for improved efficiency as your heel strikes the ground and your toes lift. 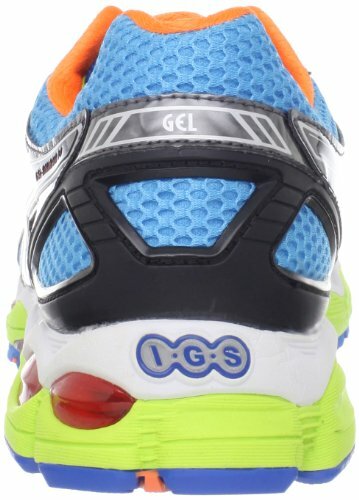 The GEL-Nimbus 14 features Personal Heel Fit (P.H.F. ), two layers of memory foam around the collar that mold to your heel. The shoe's Heel Clutching System adds extra support to the heel. For a personalized fit in the upper, the shoe offers discrete eyelets placed independently, so you can better control your shoelace tension. Plus, the cushioned sole is gender specific for added comfort and stability. The shoe incorporates ASICS High Abrasion Rubber (AHAR) in essential areas of the outsole for enhanced durability. For added cushioning, the forefoot features DuraSponge material. For breathability during long runs, the GEL-Nimbus 14 features a Biomorphic Fit upper with stretchable mesh material that improves airflow and helps keep your feet cool and comfortable. A ComforDry sock liner cushions your feet and helps prevent odors. The GEL-Nimbus 14 has earned the Seal of Acceptance by the American Podiatric Medical Association (APMA). 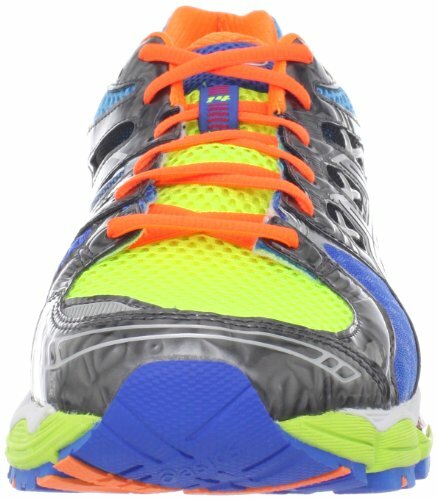 It was an editor's choice pick in Runner's World magazine's 2012 Spring Shoe Guide. ASICS takes its name from an acronym formed by the Latin phrase "anima sana in corpore sano": a sound mind in a sound body. To promote the spirit of this phrase, ASICS strives to produce exceptional sports footwear and apparel. The research and design teams at ASICS use high-tech equipment and computer software to explore, analyze, and test new technologies that are incorporated into each product. ASICS also works with elite athletes to understand their performance needs, which translates to better products for ordinary road warriors and weekend sports enthusiasts. 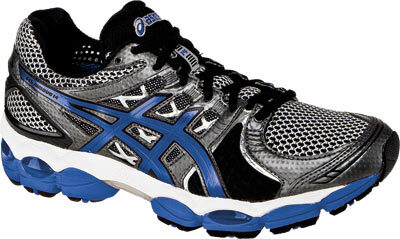 ASICS Men's GEL-Nimbus 14 Running Shoe. Solyte® Midsole Material - A lighter weight midsole compound than ASICS' standard EVA and SpEVA® with enhanced cushioning and durability. Impact Guidance System (I.G.S.®) - ASICS® design philosophy that employs linked componentry to enhance the foot's natural gait from heel strike to toe-off. Rearfoot and Forefoot GEL® Cushioning System - Attenuates shock during impact and toe-off phases, and allows movement in multiple planes as the foot transitions through the gait cycle. P.H.F.® (Personalized Heel Fit) - 2 layers of memory foam line the collar and mold to the athlete's heel, creating a personalized fit. Biomorphic Fit ® Upper - Stretch material strategically placed on the upper helps to reduce buckling and the potential for irritation.